LONDON – U.S. Olympic swimmer Dana Vollmer took a lucky little bit of Arcata into the pool yesterday during her competition in the 100-meter butterfly. Two things, actually – a pair of Tomas elephant earrings. Vollmer had tweeted that she would have them on board – or in this case, lobe – for the games. Vollmer didn’t forget her lucky earrings, and on Sunday night, she set the world record in the 100-meter butterfly with a time of 55.98. 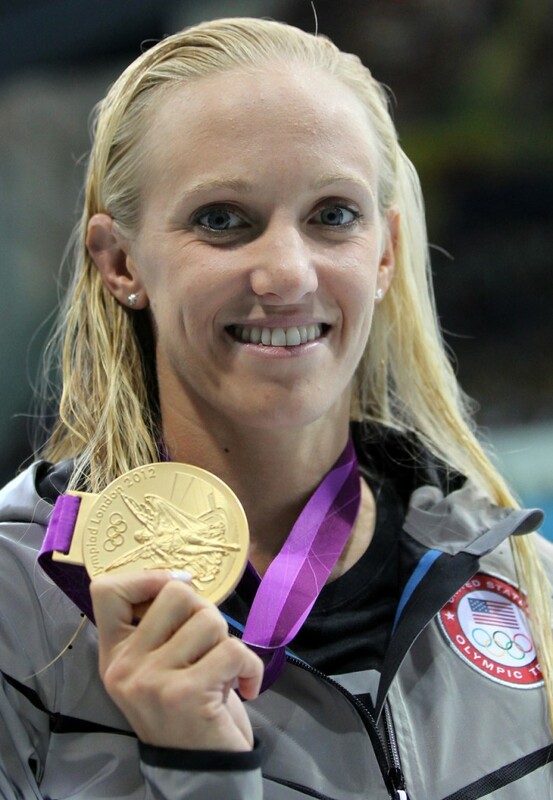 Her silver Tomas elephant earrings are visible in photos, dwarfed by her mammoth gold medal. 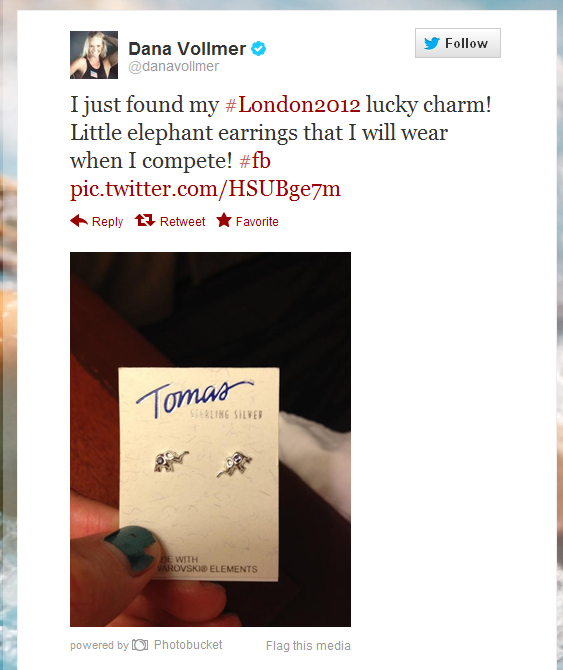 “Dana Vollmer was wise to choose an elephant design with an ‘upturned’ trunk,” said Tom Perrett, Tomas Jewelry owner/founder. 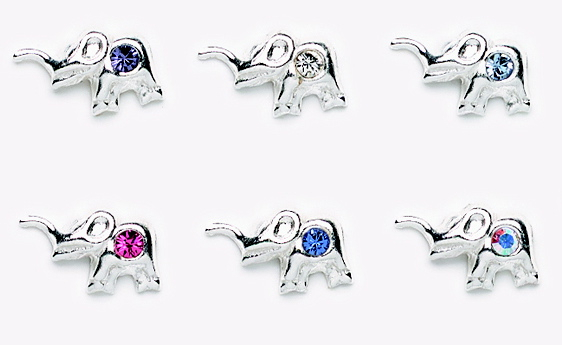 To ensure their luck-giving powers, the earrings’ elephant sports a trunk turned perkily skyward. Perrett said it is well known in the jewelry industry that downturned trunks bring bad luck. Vollmer’s experience is consistent with the superstition. Vollmer’s achievement earned her Arcata-made bling a mention on Ryan Seacrest’s website. This entry was posted on Tuesday, July 31st, 2012 at 4:25 pm	and is filed under News, Business. You can follow any responses to this entry through the RSS 2.0 feed.